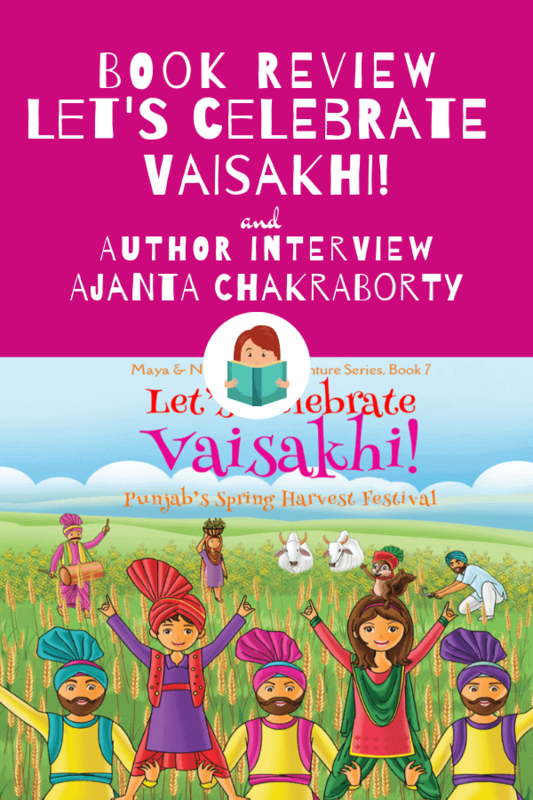 Let’s Celebrate Vaisakhi! is book 7 in the Maya & Neel’s India Adventure Series, written by Ajanta Chakraborty and Vivek Kumar. In this book, brother and sister Maya and Neel travel to India to visit their Aunt and Uncle. Their relatives teach them about the harvest festival. Let’s Celebrate Vaisakhi! is colourfully illustrated in a simple yet appropriate style that compliments the story. The imagery is thoughtful, relevant, and amplify the information being presented. A helpful pronunciation guide is included for challenging words in the story. When a word is first presented within the story, it is used, defined, then used again as part of the tale, which allows children to understand the phrase in context. The use of each word ties in seamlessly to the story so the narrative flows. The story itself is interesting to read, and despite being a “teaching book” it isn’t dry, dull, or forced. Instead, it is engaging and the information shared is directly part of the story. For topics that require more in-depth explanation, there are “Info Zoom” pages that delve more deeply into the information. Not surprisingly, that section includes a description of Sikh beliefs and key historical points. A brief outline of the religious objects and practices and what they mean is also included. For example, Sikhs keep their hair long and tie it with a turban. They wear a bracelet that reminds them to do good with their hands. And they carry a small knife that reminds them to protect those in need. At the end of the story, there is an “Info Recap” which looks back on the Vaisakhi celebration. It includes tidbits that were included in the story and summarizes the main points to help children remember. I am the CEO and co-founder of Culture Groove and Bollywood Groove. Culture Groove publishes a best-selling children’s book series and creates fun online cultural learning videos on their YouTube channel. Bollywood Groove teaches 30+ Indian dance & fitness classes in Chicago. 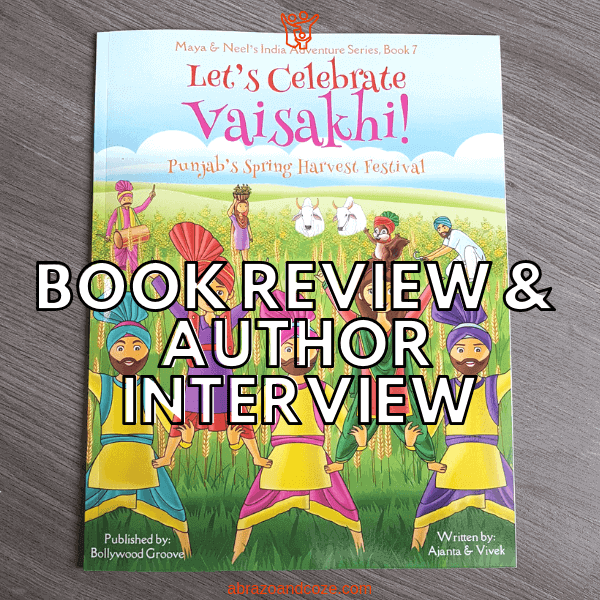 What sparked the idea for Let’s Celebrate Vaisakhi!? 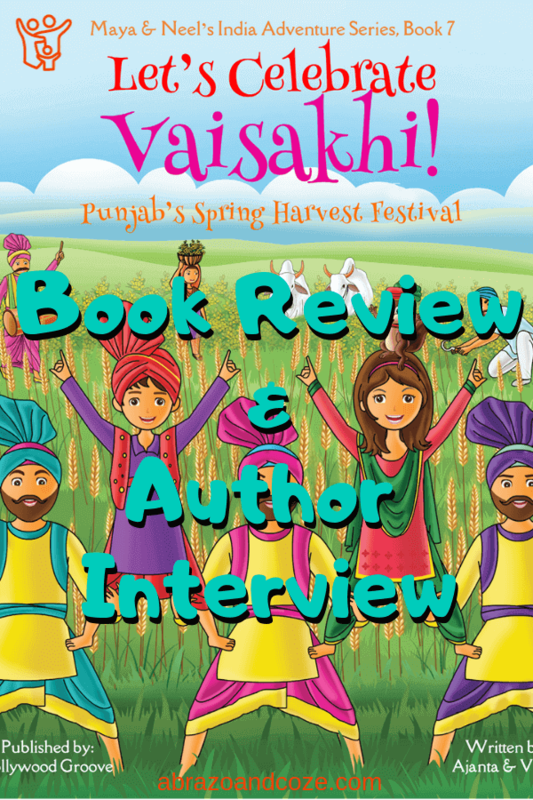 Vaisakhi is one of most vibrant festivals of India and also has wonderful roots in the villages of India – a part often overlooked in mainstream books. I also wanted to write about the misunderstood Sikh community who sadly have become victims of hate crime in recent years. I never thought I would be an author! I started as a computer engineer working as a tech consultant in Silicon Valley. In 2011, I transitioned to full time dancer and entrepreneur running a dance/fitness company. It was only in 2016 that I wrote my first book and now after the 9th book, I finally introduce myself as an author. We realized pretty early on that our illustrator would have to be someone based in India. While we will provide the outline, the illustrator would have to bring it to life with the details. Once we saw a sample from our illustrators, we immediately felt comfortable. They captured the joy, the excitement and the details in just the right manner. I’ve heard that a picture book author has an instinct for what needs to be said and what should be left to the illustrator to show. Did that come naturally for you? Yes, this part was, in fact, easy and natural. We focused on the dialogues and information and the illustrator filled it up with beautiful details. But we also had a lot of practice creating lesson plans for our unique dance + culture classes for 200+ kids and that experience definitely came in handy in figuring out the split between words and visuals. What were the challenges you had to encounter to complete Let’s Celebrate Vaisakhi!? 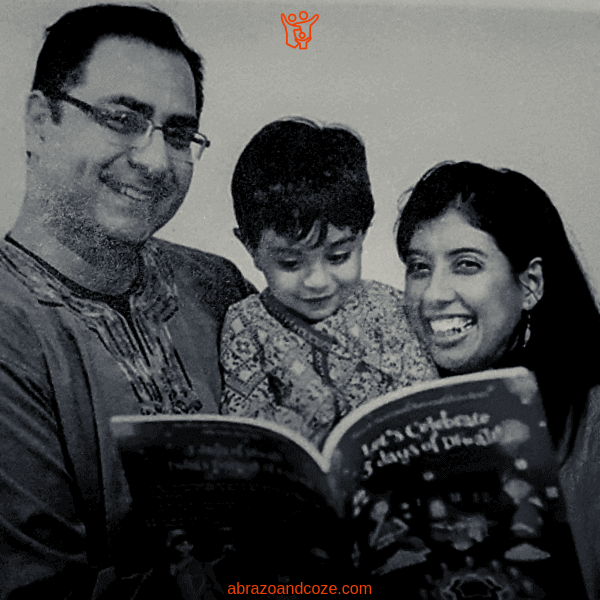 With every book, our biggest challenge is how to present a considerable amount of information in a fun and engaging manner so that a 3-year-old will actually sit and listen to the whole book. What is your favourite part of Vaisakhi? I love that I could capture the wonderful community aspect of this festival, based in a rural setting. Also, I love that I was able to talk about the Sikhs and what a wonderful community they are! Do you make saag or roti at home? If so, can you share a link to your favourite recipe? If you don’t, what is your favourite food from Punjab? Sadly, I am not much of a cook. Growing up in central India, the best Punjabi-flavored food was always from Dhabas. They are roadside restaurants where you sit on a Charpai (traditional woven bed) and eat the yummiest food you can imagine. Makke ki Roti and Sarson ka saag are in fact some of my favourite Punjabi foods. Which dances do you like teaching your young students the most? Do you ever teach them Bhangra? Yes! Bhangra is my favourite form of dance to teach. It is so joyful and energetic that you can’t help but move to it. Best advice – make a minimum viable product fast instead of waiting forever to perfect it. Put it out there and collect feedback to improve. Worst advice – I don’t need you to teach my kids about culture. Write about something else. My response is always that I don’t have to choose. Kids love books and kids love movement. The goal is to make them true global citizens and books and dances are amazing mediums to do that. Writing, dancing, marketing, teaching, attending great learning events – so many things to choose from! Is there anything else you would like to share with us about yourself, your writing, or Let’s Celebrate Vaisakhi!? Our mission is simple – help raise multicultural kids. All our books are aimed towards just that. Let’s get kids curious about the world or help them connect to their roots. Also, our books are completely non-religious, which makes it easy for people of all beliefs to consume them. Let’s Celebrate Vaisakhi! Punjab’s Spring Harvest Festival was super interesting and captured the attention of both Monkey (4) and Fang (2). Monkey listened to the entire story, which is impressive. Normally, she loses interest in longer books. Fang listened to most, but got sidetracked during the Info Zoom pages – but the target age group is 3 years and up, so perhaps not surprising. Ajanta and Vivek have done a wonderful job sharing the Sikh cultural traditions of the Punjab Spring Festival, Vaisakhi. If you’d like to check it out, you can find the book on Amazon. If you buy it, do them a huge favour by leaving a review. As independent authors, they rely on ratings and reviews to ensure their books get seen by a wider audience. You can connect with the authors on their website (including links to their YouTube channels). If you’re looking for more great stories to read to your children, check out High in the Sky, Cami Kangaroo Has Too Much Stuff, and Nonni’s Moon. I’d love to hear what you think of this story of the Punjab Spring Festival. Do you have a favourite festival you celebrate with your family? Tell me all about it in the comments below.